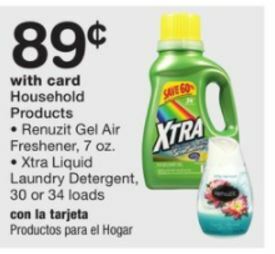 Just in case you missed it through Saturday, Walgreens has Xtra Laundry Detergent on sale for just 89¢ – regularly $3.49! And the best part – no coupons are needed to snag this deal! You will need to enter your Balance Rewards Card for the discount. Check out this weeks Walgreens Deals HERE.